We discuss best practices, new uses, tools, highlight brand usage, personal/professional use and share our passion for Pinterest. What’s the best way to learn about #PinChat? Check out our Pinterest Boards, of course! And come to our weekly chat. Make sure you say hello and join in. 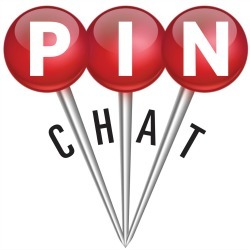 #PinChat founded by Kelly Lieberman @tribe2point0 on Twitter. Happy Pinning!